Police in Moscow are looking to interview the daughter of violist-conductor Yuri Bashmet after a fire in her apartment block killed seven people. The fire broke out in the house on Nikitsky Boulevard on the night of February 3-4. It is reported that Bashmet’s daughter, Ksenia, was holding a birthday party in her apartment. Xenia and her children escaped to safety. Bashmet told Russian media he was not sure in which apartment the fire started. Other sources say police are still waiting to interview Xenia. 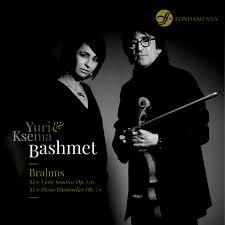 Ksenia Bashmet is listed as an artist of the Mariinsky Theatre. President Putin, a friend of the Bashmets, will have been kept informed.